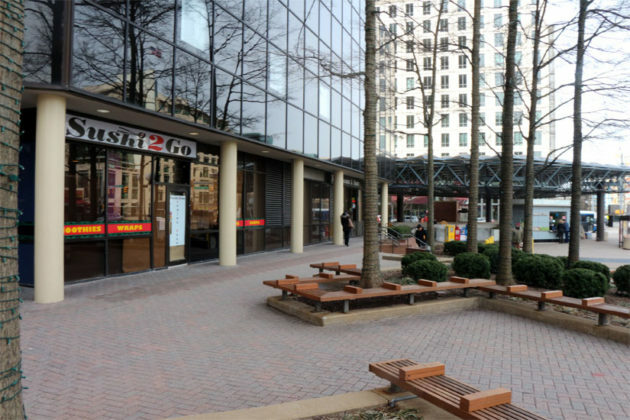 Sushi will soon be available just steps from the Ballston Metro station. 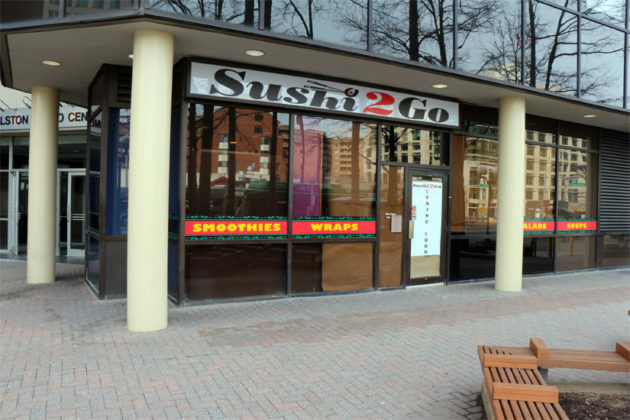 A new restaurant called Sushi 2Go is moving into the space next to Italian bakery Tivoli Gourmet, in the Metro plaza at the corner of Fairfax Drive and N. Stuart Street. 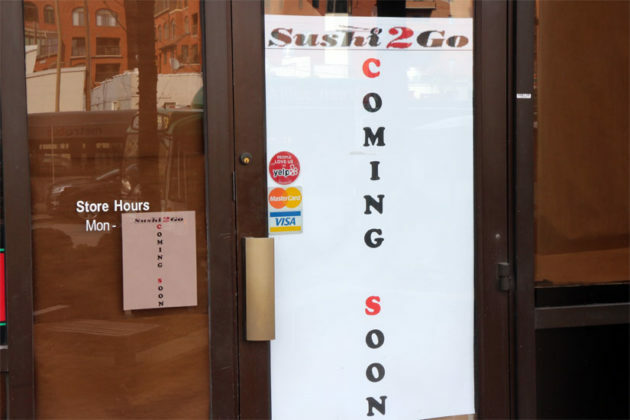 Any indication as to what the place will serve — outside of, presumably, grab-and-go Sushi — was not evident from the outside, nor was any notices for building or an opening date.